Home Theater of this level is as much entertainment as it is complete madness. A year ago I had not even heard of Arendal Sound. Now the name is burnt into my temples. It is a long time since I heard a soundstage so massive and hard-hitting. The subwoofer is larger than an average refrigerator – and it sends shockwaves of thunder through the room, rips your trouser legs, pounding away at the body. Without any signs of lagging behind! And the speakers; You can call them monitors, for they have that form. It’s just that they are so enlarged that we could not fit the rear speakers on our custom shelves, so we had to find a makeshift solution on stands. If you want 8-inch drivers, it dictates cabinet size! Not to mention the front Monitors and the horizontal lying center speaker, each of which has two of them. It pays off in terms of effortless brutality, with outrageously large and massive dialogue and full control of everything from gun shots to the birds chirping. But I go too fast. For what and who, is Arendal Sound? Behind the brand is the Norwegian importer L-Sound from, correct, Arendal in Norway. They have worked closely with small but potent speaker manufacturers such as Ken Kreisel, Definitive Technology and SVS for many years and eventually gained much experience in the field – both in terms of what works and does not work. Precious experience that they have taken with them, when they started Arendal Sound in 2015. “There have been some delivery problems, mistakes and a lack of predictability. Some of the suppliers we have worked with have not coped with being “big” in a short tim, and it has affected quality. Therefore, we wanted to start something special, where we have full control”, says founder and marketing manager Jan Ove Lassesen. With Arendal Sound, focus is on providing the absolute best value in the market. We’re talking large speakers with high sensitivity and low distortion, where nothing is spared for components or build quality. For example, the cabinets are made of HDF (High Density Fiber board) instead of MDF. Much more expensive, but according Arendal Sound, worth it in terms of less resonance and thus less colouration and better dynamics. We could save a lot by using MDF. MDF’s good, but we went for HDF to improve sound even further. 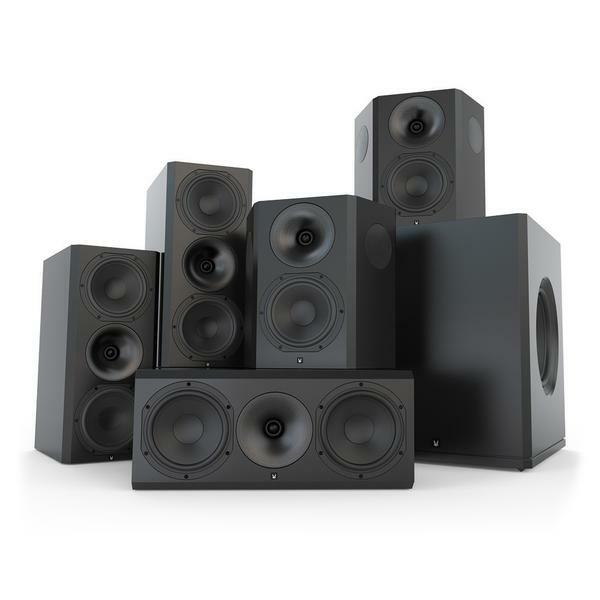 We did an A/B listening test between HDF and MDF, and there was no doubt: HDF provided an improvement of dynamics and the speakers sounded more playful, says a convincing Jan Ove. Much of the soul in Arendal Sound lies precisely in making expensive solutions available to more people, by not up-charging 10x for each level of quality in development and production. We make cost-conscious high-end. but we had to step up from the cheapest levels. If you create a center speaker that costs 5,000 Kroner, you would need to remove a lot of quality. But do it 8,000 Kroner instead and you can spend a lot on components, says Jan Ove. Yes, it’s no good using Titten Tei-capacitors in the crossover, says Bjorn Erik Forberg with a smile. He’s the new Assistant Manager at L-Sound, and has participated in the development of the speakers. Bjørn Erik, also known as BEF, is a familiar figure on the Norwegian hi-fi and home environment: A man who is not alien to go all out in your home theater. Speakers from Arendal Sound are as mentioned large, to retain sensitivity well into the bass register. We have received the 1723 Monitor, which admittedly has the shape of a kind of bookshelf speaker, but is much larger than anything you’ll fit on a bookcase. It is to produce the strongest possible bass even when sealed. The cabinet itself is vented, but it comes with foam plugs which Arendal Sound recommends using. – You get improved dynamics by sealing the enclosure, says Jan Ove. – The deep bass you will get from the subwoofer. When we were to review a new speaker series, that promises performance and speed, it was natural to bring the biggest subwoofer. And that Subwoofer 3 is large: 70 cm high, 60 deep and 50 wide. In other words it’s not enough to put a pot plant on top and hope that no one sees it. The weight of over 60 kilograms is also al challenge where unpacking and placement are concerned. Two 13.8 “woofers play so-called” push-push “, ie they push in opposite directions, to further reduce the already small resonances from HDF cabinet. Although the cabinet has a bass reflex port, it is recommended to keep plugged with the supplied foam bung, for the smoothest and tightest bass response. Sure, if you feel like you need even more commotion and bump the bottom of the bass register, so it goes down to 17 Hz with an open port (20 Hz closed). Believe me, it is unnecessary. The speakers are made in China, where development and production are integrated under one roof, so that we were promised that no shortcuts are made from the production department. All components according to Jan Ove, are specially manufactured Arendal Sound, and not off the shelf. As I mentioned in the introduction, sound pressure is a large part of Arendal Sound. Therefore, each speaker had to undergo a stress test, in which it is fed with 200 watts pink noise (pink noise) a whole day. This represents something like 600-700 watts with music, and somewhere between 117 and 118 dB. Or darn loud! Therefore there is no point being afraid to connect the speakers to our amplifier rig. A powerful Hegel H30 power amplifier (approximately 2 x 500 W / 4 ohms) used on the two fronts, one H30 is bridged and ready to feed the center speaker with around 1,500 watts, and for surround a H20 (2 x 350 Watt / 4 ohms). A juicy rig of around 200,000 Kroner, with a Yamaha CX-A5100 to take care of processing. With 4K version of Deadpool in the player (Panasonic DMP-UB900) projected by the JVC DLA-X5000, we are getting ready for some beating. Battle scenes, explosions, steel clink and all the sound effects of people flying around, sound so solid and tough that our own reference THX speaker set from Procella is unable to match the sound pressure at all. The Subwoofer 3 from Arendal is so brutal, that it sets the whole room moving, without it ever falling apart. Dialogues rang through the room, with foundation far down the chest timbre region, while speech is crystal clear. And since the big Arendal speakers are not tuned to THX specifications, as to cross the subwoofer and the rest of the speakers at 80 Hz, they can instead be crossed by 60 Hz and thus give us an even fuller and more rich sound. This movies sound track is even more encircling in an Atmos-configuration, which we will find out by switching on our roof-mounted Martin Logan SLM. Arendal has no flat mounted speakers so you can use the 1723 Surround for example in the ceiling but must firstly accept the size of it, and secondly, make sure they are securely fastened to the ceiling. They weigh over 17 kilos each. The speakers are of course not only for movies, but are also competent music purveyors. Dynamics are key and playing rock with hefty guitars, the speakers slams up a wall of incredible sound. And here is where the good connection between the speakers sound balance, that one is actually able to use the Surround as a front speaker. Not that anyone is going to do it, when the Monitor delivers a more accurate stereo perspective and moreover, even more control with its two 8-inch midrange woofers. Music in surround fills the room effortlessly. The sound is nicely connected between each speaker with instruments well placed around. Just listen to Wild Mountain Boys from Hoff Ensembles Quiet Winter Night, with Sondre Bratland’s large and distinctive voice. Arendal Sound reproduces music bigger and more solid than I’m used to. Contrabass is thundering through the room and the piano of Jan Gunnar Hoff has a very masculine touch. The speakers follows up all the way to the frequency range and its tweeter is reproducing sparks and attack. But it’s not the most refined I’ve heard. Arendal Sound has a very “live” soundstage, it sounds raw and unpolished. If you expecting an angel presentation from Sarah McLachlan and Kate Bush, then you probably miss a little more air and shades in the top register. The tweeter sits in a funnel-shaped waveguide which, like a horn does something with the reproduction and dispersion. Even if the cabinets are hard enough to give bleeding knuckles with a knuckle test, I feel there is a resonance in the lower voice register which makes it sounds a bit colored. It is not hard but it’s not silky smooth either. There is nothing wrong with that, especially when putting on rock and hip-hop. Full throttle with Rage Against the Machine or System of a Down; get ready to play air guitar! The speakers are not difficult to drive and you do not need amplifier power in the upper hi-end category. I found out that when I connected the Yamaha RX-V781 to the speaker set, an AV-Receiver to mere 6000 kroner (about €670), it brings a lot of the speakers benefits, though you obviously do not get the same sound pressure and the insane control with amplifiers, measured in kilowatts.This leads me to think that an AV-Receiver at around 15-20000 kroner (€1500-€2200) must be a brilliant match. For example, the Yamaha RX-A3060 or Pioneer SC-LX701, to name but two. It’s not often we hear so insanely tough home cinema like this. Arendal Sound takes the soundstage and just thrusts it into the room. The subwoofer especially hammers and shakes the whole body loose, without even trying. I am afraid that stuff will fall down from our shelves. The dynamics are extreme and are constantly prepared to attack, while also able to play softly when they should. The dialogue in movies is rich, large and massive, while the soundstage around us is seamless between the speakers. Music in stereo, or more channels, is extremely entertaining and it is very impressive how much you get for your money. To the extent that one can speak of just over 50,000 Kroner (€5550) as reasonable that is. We can’t think of a better experience for the price. There are speakers with more refinement and nuances and clearly better choices if you only listen to harps and fiddles. But there are very few speaker systems up to 100,000 Kroner (over €10.000) that come close to balancing the thunderous sound pressure with a well tonal balance and high credibility. + These speakers hits brutally hard while maintaining tranquility when they should. A tight, tough and wonderful sound, with great voicing and a particularly brutal subwoofer that moves the room. And they rock! – There are speakers out there which are more refined.